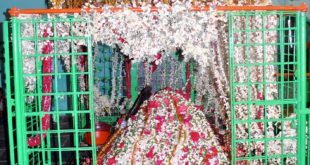 Brahmam Gari Matham (Telugu: బ్రహ్మంగారి మఠం) is the place where Sri Potuluri Veerabrahmam who was famous for his preachings and mainly for his remarks on future of the world, stayed in Kandimallayapalli. Veerabrahmam is the only futurologist that the East has produced. He entered Jeeva Samadhi in the year 1693. Brahmamgari Matham was built in Kandimallayapalli after the jeevasamadhi of Veerabrahmendra swami. The Matham does not look like temple but has beautifully carved statues and its walls are full of Veerabrahmendra Swamy’s preachings and his predictions. Kandimallayapalli is located 60 kms from kadapa. It is well connected by road. 05.30, 06.30 , 07.30, 08.45, 09.45, 12.00, 13.30, 15.00, 16.30, 18.00, 19.30, 21.45. Nearest railway station is Kadapa. 60 Km is the distance from it. Previous పుష్పగిరి సందర్శనంతో- శతఅశ్వమేధయాగాల ఫలితం ! please send all the details of Sri Potuluri Veera Bharman gari kalagnanam. i would like to buy the book ” Kalagnanam in tamul or English. Please send me picture of his samadhi place. though if u get kalagnanam book in languages other than telugu, it is contaminated by translators. Better read original telugu book from brahmamagarimatam itself, or otherwise read not. 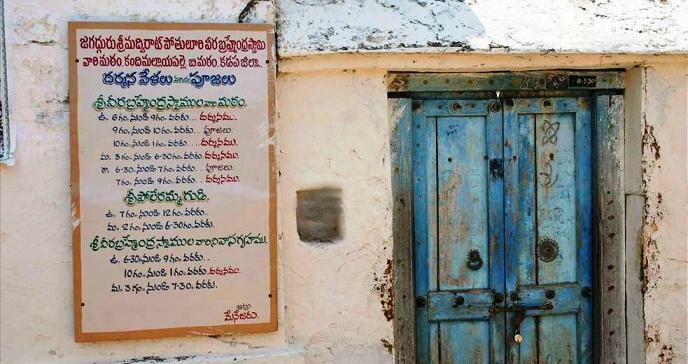 If you are too curious about swamy prophecies, call brahmamgari matam in kadapa district and get original book. though the contents are purely in telugu except the 11th chapter is in sanskrit. But that chapter is enough to give you exact time of return of veera vasantharaya. Shrimadh Viraat Pothaluru Shri Veerabrahmendra Swamy charithre. Kaalajnana. DVD Available in Kannada. If you intrested Please Contact Mob-09448506159–09035864190. 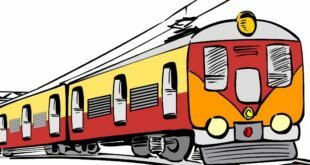 I AM A TELUGU FROM CHENNAI WITH MY FRIENDS PLANNED TO VISIT THE BRAHMAMGARI MATAM AND AHOBILAM IN NEW YEAR AND RESERVED TICKET FROM CHENNAI TO CUDDAPAH. I NEED FULL DETAILS OF BRAHMAMGARI MATAM AND AHOBILAM PLACES. ONLY FEW DETAILS HAVE BEEN PROVIDED HERE. I HAVE SEEN IN TV THAT THERE IS ALSO CAVES TO VISIT IN MATAM, BUT IAM UNABLE TO FIND THE DETAILS ABOUT THAT. 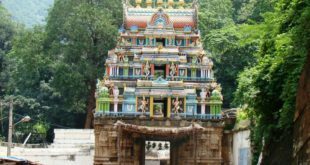 ALSO THE AHOBILAM DIRECTIONS TO VISIT THE NAVA TEMPLES ALL IN YOUR WEBSITE. I have read this article. your information is really amazing. though my SBI A/c. Transaction reference no. IHJ8521032. Please send the receipt and prasadam .